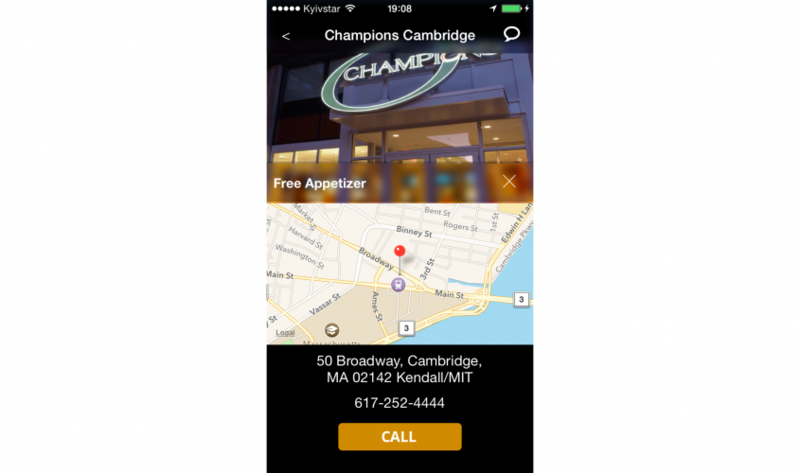 Our customer, the US Digital Marketing Agency Aericon, needed some help in the development of an iOS application, that would allow people to reserve a bar stool and table as well as to help bar owners to attract new clients. Aericon chose iQueSoft as a company with the necessary technological experience in iOS development. A survey was conducted among the US bar owners, bartenders, hosts, and bar patrons to find out if this was a pain for those people. 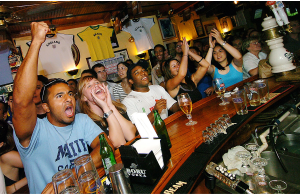 Over 80 percent of people actually left a bar because there weren’t any bar stools available. That is so-called opportunity cost as bars are losing people that have walked into and left because the bar owner couldn’t take care of them. 70 percent of those people would be willing to use a mobile app to reserve a barstool. The application encourages customers to reserve a seat during off-peak hours. After the discussion of the project with the customer we separated the development. Aericon was to develop back-end and design. iQueSoft was to work at the iOS application. The communication of the application with the server was performed by using AFNetworking. 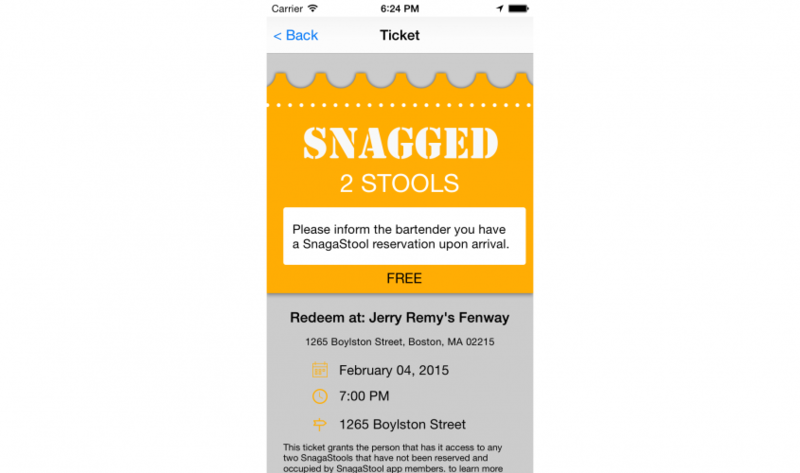 SnagaStool gives users the opportunity to reserve a bar stool when there are none available and helps bar owners to attract customers during off-peak times. In order to let users log in via Facebook to make a reservation FacebookSDK was used. To enable bar clients or bar keepers to notify users about important events we implemented Parse Push notifications. The event may be both free and fee-paid. So, the PaymentKit was used to provide payment flow. Also, to let application memorize a user’s card data the Strip iOS SDK was used. During the whole development process we were communicating with the customer to discuss all the details of the work. SnagaStool solves two pain points. 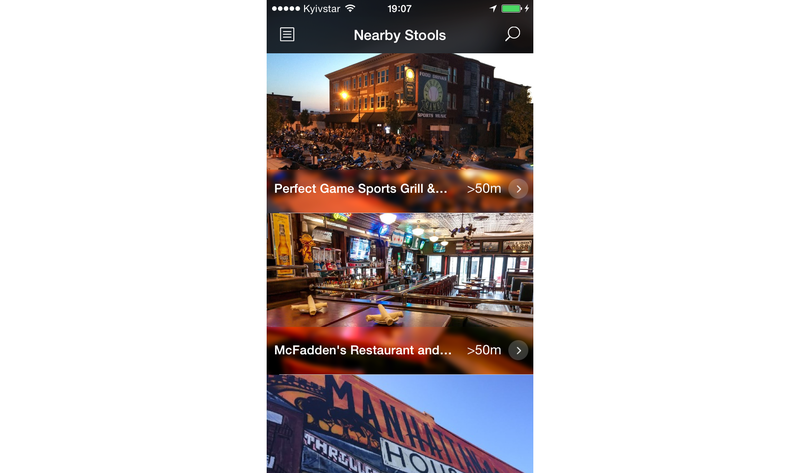 Firstly, it lets users reserve a barstool when there are typically none available. When bars are busy they can charge more for bar stools or tables for each event. In case people, who paid for their reservation, have not turned up within the reservation time, the bar doesn’t lose any revenue. It enables to split the income with bars increasing income generated by each bar stool or table. Secondly, SnagaStool solves the bar’s pain point of an empty bar by sending people to the bar stools or tables during off-peak times. 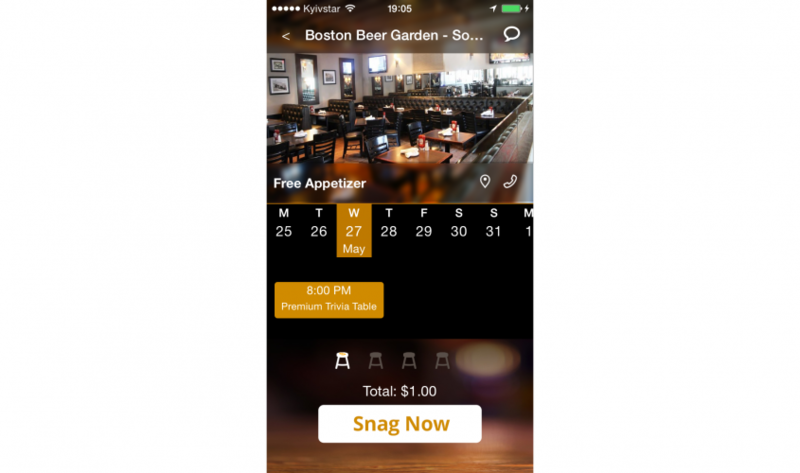 SnagaStool allows users to reserve a seat for free during these hours. Those customers, who reserved a seat using SnagaStool, will be offered a free appetizer or pretzels or a discount on ordering a meal. This allows bars to attract customers during not busy hours and at the same time it lets bars extend hospitality to the guest from the very moment they walk into the bar. So, during both premium and non-premium times at the bar, customers will be treated with VIP-style service: the bartender will know their names ahead of time, have their preferred game on TV, be aware of their preferences. 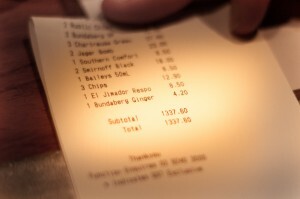 Now, SnagaStool strives to be the bar or table reservation for events in the bar. You can download it from the Apple Store.